Bred by Don Egger. Strain. From Pink Perfection crossed with upfacing trumpet seedlings. 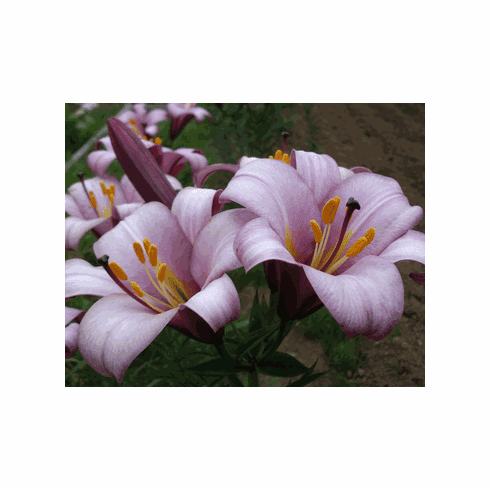 Introduced by B & D Lilies 2008. Photo B & D Lilies.